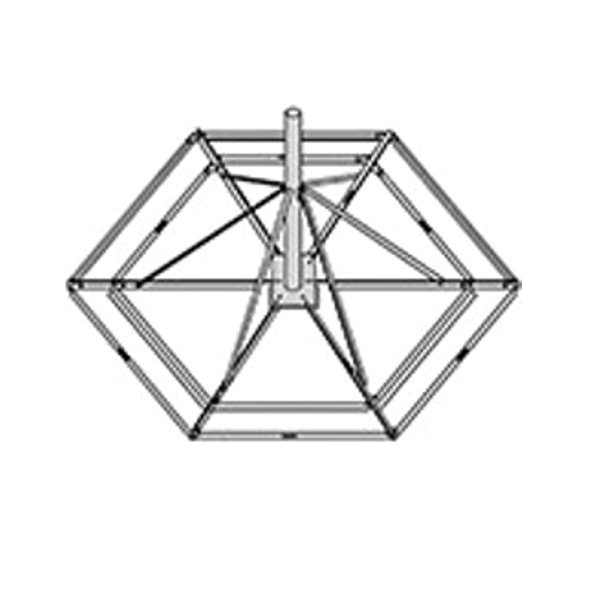 This roof mount is able to support various Antenna EPA's depending on wind and Ballast load (see details). The base of the roof mount is 191" by 166" hexoganal with a 16” tray to fit concrete blocks, typically used as ballast for placement of various PCS, DBS Satellite, TV, Radio and Microwave Antennas. The base mount and mast pipe are Hot dip galvanized for corrosion protection and go together quickly.